Trade fairs at our home ground are always a little bit special. It is great to be at home playground and we enjoy it. This year, Ostrava hosted us with three days of hot summer weather, but at least in a part we succeeded in overcoming it. 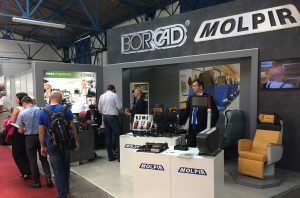 Sharing a booth with company MOLPIR, our long-term business partner, brought us a benefit of an air-conditioning unit which immediately became one of our favourite displays on the booth. From our product portfolio were exhibited seats VISIO, GENIO, COMFORT for new 1st Class of Pendolino trains, and COMFORT for Talgo trains with MOLPIR screens located in headrest cover. We also displayed the electrically controlled COMFORT seat. 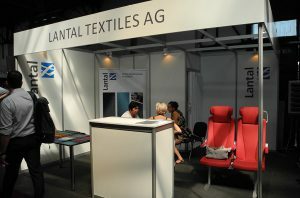 Besides our booth, our REGIO+ seat delivered to Stadler for a Dutch Railways project was also displayed at booth of Lantal Textiles AG. 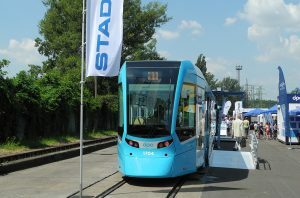 In outdoor exhibition PESA displayed its Elf II EMU, but the biggest attraction was the new STADLER nOVA tram. In total 203 companies exhibited at the fair and 6 035 visitors attended. We would like to thank all visitors of our booth for their time they spent with us. See you next year at the anniversary 20th year of Czech Raildays. Previous Post IRIS CERTIFICATE Next Post A NEW WEBSITE IS BORN!